We always enjoy attention but we love happy customers and flattery even more. May we present to you Cool of the Wild - a website with some great taste in beach activities! 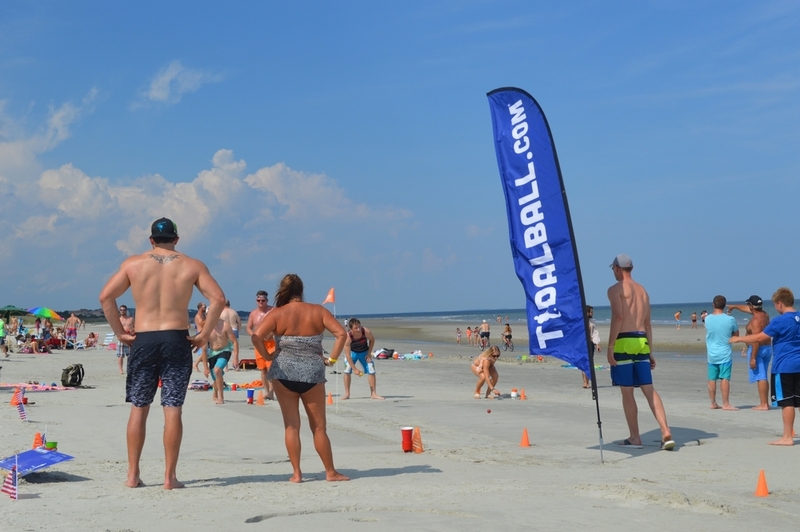 From the humble beginnings of several inebriated college gentlemen inventing a game on the shores of Folly Beach, TidalBall has rolled from Charleston and Savannah to San Diego, the Grand Caymans and the Florida Keys. America’s Beach Game has even been adapted to the snowbanks at the base of Breckinridge Mountain. We have the pictures to prove it all. 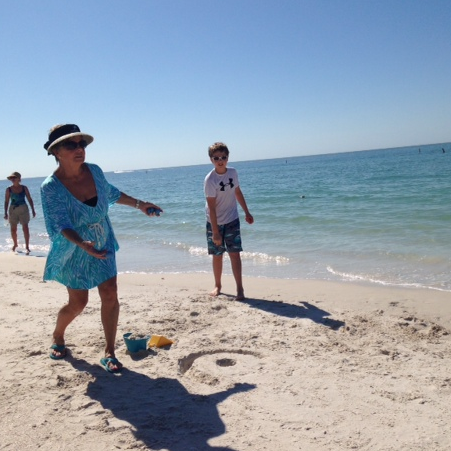 No matter where America’s Beach Game goes, TidalBall attracts some fun-loving folks that always let the good times roll. Begging the question, what are the top three TidalBall cities? They have the best dog laws of any beaches in the Union and naval bases with Harrier Jets, C-130s, and F-22 Raptors. TidalBall couldn’t be America’s Beach Game without the brave service men and women that spend their off days on these star-spangled shores. Expansive white sand beaches, perfectly sloped for graceful rolls. Charmingly beautiful, yet approachable women. Friendly fellows that will always offer a frosty beverage. But somehow, the birthplace of TidalBall only ranks third. How is that possible? Read the next couple cities to understand. HHI digs them some America’s Beach Game. We have sold more sets to that sleepy beach town than any other city in America. More retailers from HHI sell TidalBall than all of Florida. 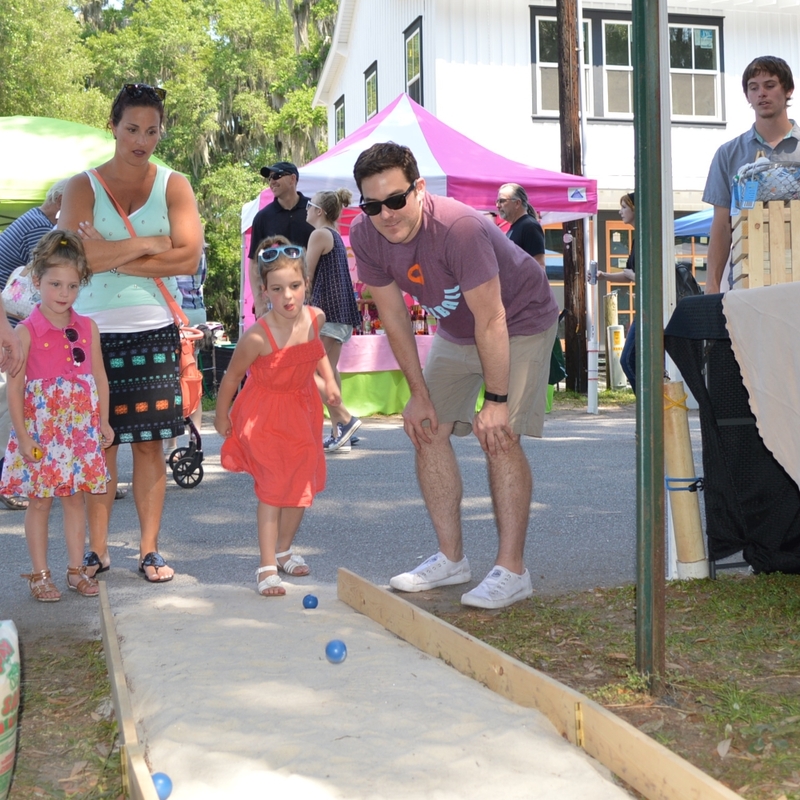 In fact, so many more people from Hilton Head Island signed up for the TidalBowl 15 that we moved the event from Charleston to Hilton Head. Still that doesn’t earn them the #1 spot. What gives? Rather who gives? Mike Hayes is a former Golf Pro that first witnessed TidalBall on the shores of Folly Beach, South Carolina. The spiritual kinship TidalBall shares with putting entranced him. Upon returning to Hilton Head, he bought a set at the Skull Creek Boathouse General Store. 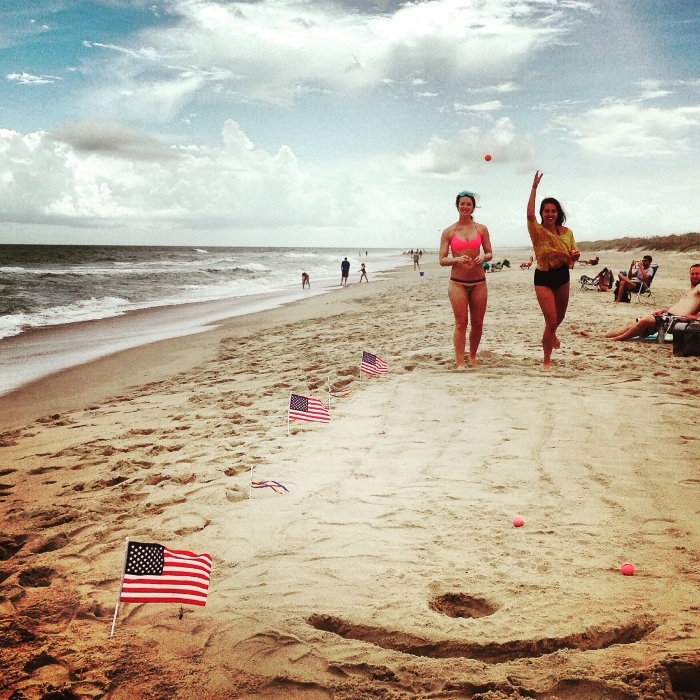 And proceeded to spend every single sunny day playing America’s Beach Game. He bought a sand broom, started grooming immaculate TidalBall courses. He invited his friends to play, he invited strangers to play, he gathered a following. Instead of just telling people what he is playing, he engraves “TidalBall.com” wherever he plays. He is TidalBall’s #1 fan, top-ranked player, and gets a distinguishably handsome tan. Earlier this year, he moved to St. Thomas in the US Virgin Islands. A lovely dot on the globe with alabaster-white beaches, women that know how to fill out a bikini, year round TidalBall weather, and most importantly, St. Thomas has Mike Hayes. And that is what makes this unincorporated territory of the U.S. Virgin Islands, the #1 American city for TidalBall. Don’t agree with these rankings? Good. Nominate your city, and tell us why it’s a Top TidalBall City. I don’t have kids of my own so I can’t claim to know the struggle first hand, but I have spent enough time around the little buggers to know a thing or two about what parents get to deal with on a daily basis. Bravo to these brave men and women who actually care enough about their offspring to spend quality time with them; whether it’s watching a Disney movie for the 1,000th time that week or my favorite- bringing the whole gang to the beach to let the little ones run wild. The latter is where I’ve seen some of the wearier, dead-behind-the-eyes-tired and beaten “how did I get here” parents as they make desperate attempts to stop their little bundles of joy from terrorizing the rest of the beachgoers, assaulting mother nature, and capturing various seabirds as pets. I’ve seen dads chase after their boys deep into the ocean on an apparent mission to sprint to the other side. I’ve seen moms apologizing to the confused elderly couple next to them with a half of a sand castle kicked into their sun scorched faces as a little girl runs off screaming with joy. Then there are the kids who are perfectly content just sitting there crying, screaming at the top of their little lungs for such an extended period of time it’s almost admirable. This is the way it used to be, that is. Now there’s something available that I like to call “The Beach Babysitter.” It’s a Godsend for parents and grandparents and hours of pure joy for the kids. It’s not just a dream and it’s not magic; it’s TidalBall, the new beach game that keeps people of all ages entertained all day at the beach. 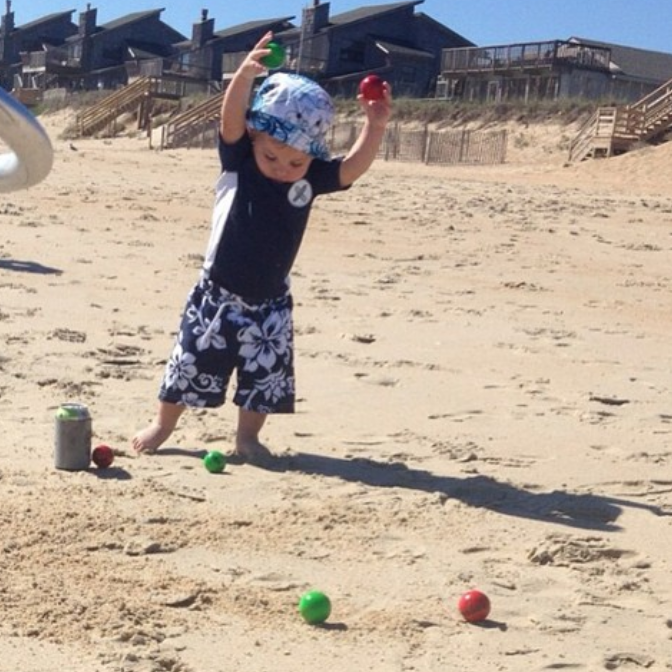 TidalBall keeps the kids happy, behaving, and stationary. This allows mom and dad to escape to a rare, blissful feeling of freedom they may not have experienced in the last ten or so years. It’s a cool walk down memory lane when they could actually take the time to finish an entire drink while enjoying the sunshine and serenity of the beach. The kids are getting along with each other and even making new friends; all through a simple yet incredibly fun beach game. See more for yourself at www.TidalBall.com, because you deserve a peaceful day at the beach and a vacation from Dora the Explorer and Caillou the Talking Potato Monster. #5. Women are more dexterous than men. That’s an SAT word for finer finger motor skills. It’s science. #4. They remember to put on and reapply sunblock. Thus, they are more hydrated and perform at a higher level. Also science. #3. Boys have always been and always will be scared of losing to girls at sports. Also science. #2. Women are less distracted by other bikini clad ladies. Definitely science. #1. Women relish beating the boys. Men have nothing to gain by winning. A typical male excuse. Since the invention of TidalBall, we’ve observed that women naturally pick up America’s Beach Game faster than their male counterparts. Although we have not performed statistical studies, we have some theories. 5: Women are more dexterous than men. That’s an SAT word word for finer finger motor skills. It’s science. 4: They remember to put on and reapply sunblock. Thus, they are more hydrated and perform at a higher level. Also science. 3: Boys have always been and always will be scared of losing to girls at sports. Also science. 2: Women are less distracted by other bikini clad ladies. Definitely science. 1: Women relish beating the boys. Men have nothing to gain by winning. That’s a typical male excuse. Don’t let the TidalBlog settle the debate. Go boys vs girls this Memorial Day weekend and let us know who TidalBalls the best. 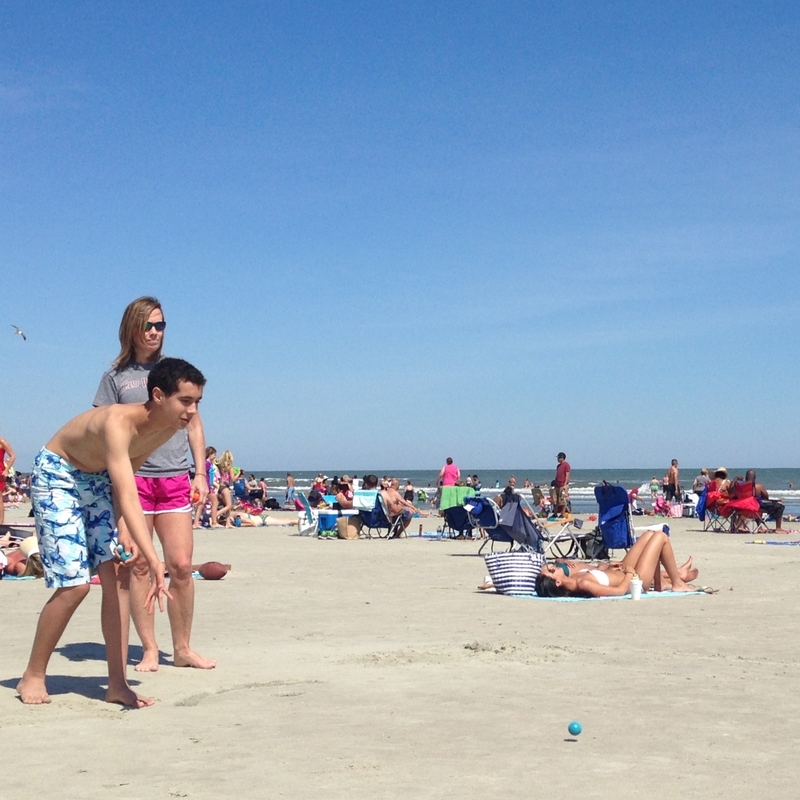 Kids Playing TidalBall on the Family Friendly Beaches Surrounding Charleston, SC. The 2nd Annual TidalBowl. Its Our Biggest Tournament of the Year. ...to have fun! 2016 is off to a great start and we'd like to take this post to thank our loyal fans. We've had a tremendous turnout for all of our spring festivals our online customers have been great. Here are a few of our favorite customer submitted photos that we'd like to share with everyone. Thanks for your support and continue to #TidalBall & #AmericasBeachGame on any social platform.